Mercedes Benz India has just begun sending out invites for a September 11th event to be held at Pune. The event will play host to the launch of the Mercedes Benz E-Class E 350 CDI luxury sedan, which will be positioned as a top-of-the-line diesel variant in the E-Class line up sold here. The facelifted E-Class made its way to our shores last year but the engine options it got were limited to the 2.2 liter turbo diesel and 2.0 liter petrol motors. The car clearly missed out on the performance focused 350 CDI V6 turbo diesel motor. Now though, Mercedes Benz is making amends. 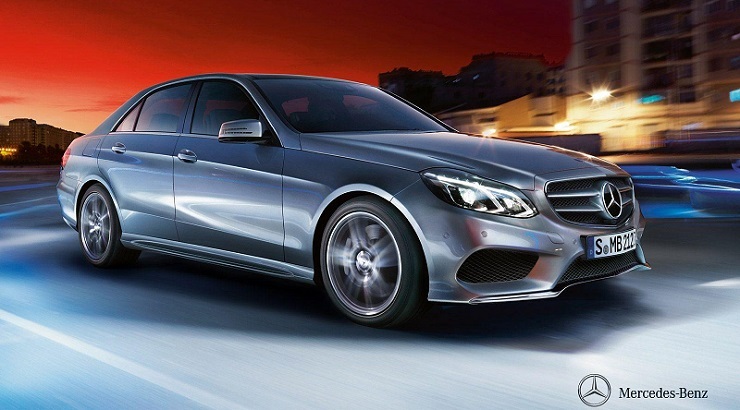 The E-Class E 350 CDI will draw power from a 3.0 liter V6 motor that is turbocharged. This motor will churn out 254 Bhp of peak power produced at 3,400 rpm and 620 Nm of peak torque produced between 1,400 and 2,400 rpm. The car’s engine comes mated to a 7 speed automatic gearbox that drives the rear wheels. Performance is perky, with the 0-100 Kph sprint coming up in 6.4 seconds while the top speed is electronically limited to 250 Kph The new variant will come loaded with many more bells and whistles, and safety features when compared with the lower priced E 250 CDI variant. The new variant will allow Mercedes Benz to attract a slew of prospective buyers who want something extra from their luxury sedans. Folks whose other options were the likes of the BMW 5-Series 530d, the Jaguar XF 3.0 Diesel and the Audi A6 3.0 TDI, will now have an additional high performance diesel luxury sedan to choose from in the form of the E 350 CDI variant. The car is expected to be priced in the whereabouts of 56-58 lakh rupees.